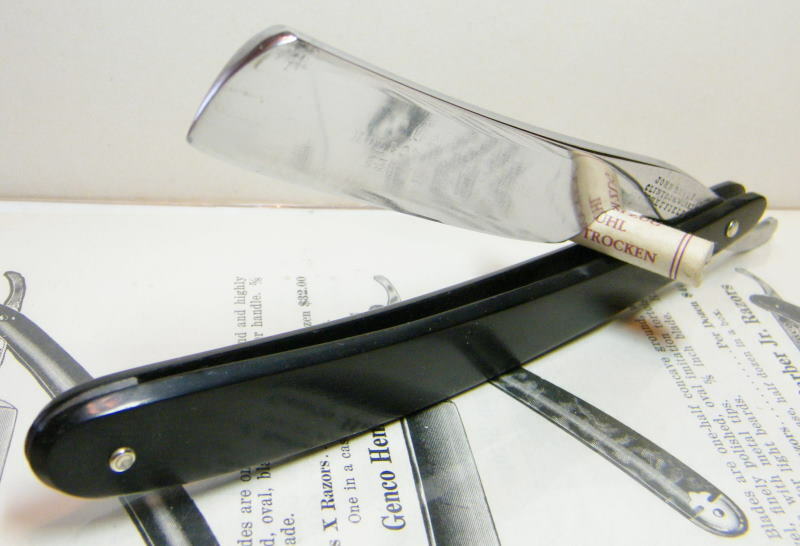 STRAZORS.com - all about classic razors - John Blyde, Clintock Works, Sheffield. A foundation date of 1841 is recorded in the trade literature for this company. 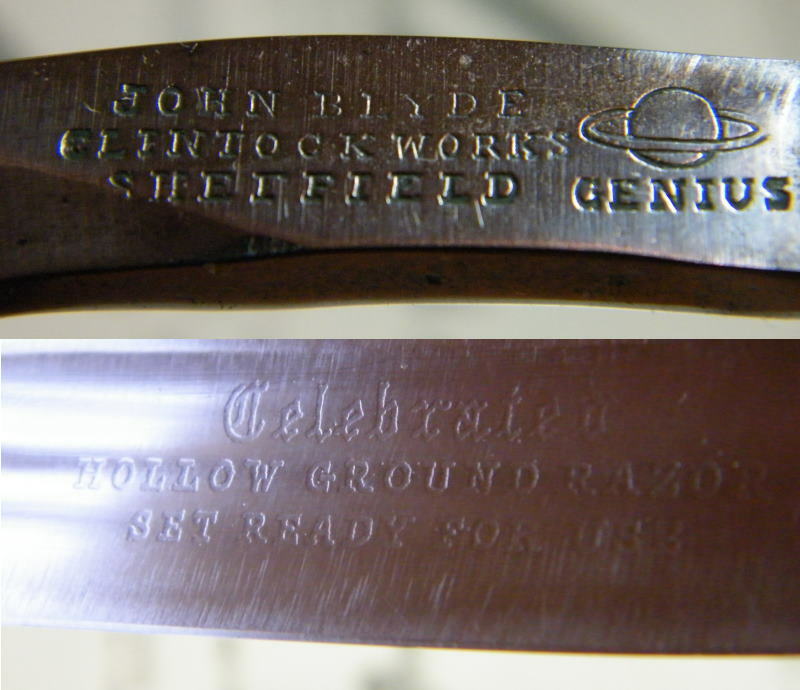 John Blyde(1827-1899), a Sheffield-born scissor and surgical instrument manufacturer, was working at Norfolk Street Works, Norfolk Lane, in 1862. Ha may have been the son of James Blyde. 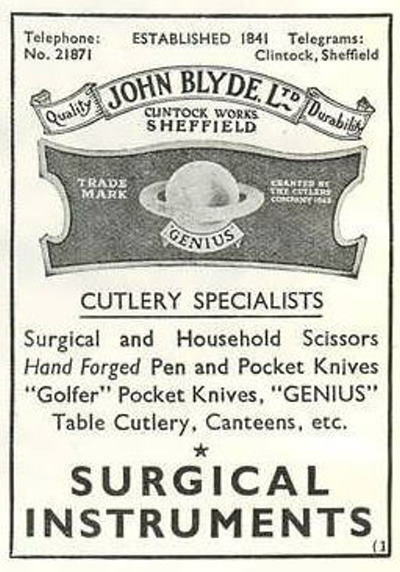 By the 1870s, the address was Burgess Street, with John Blyde advertising surgical instruments, scissors, and trusses. The firm employed 27 workers in 1871. By 1883, the business had moved to Clintock Works, Milton Street. In directories in the 1880s, Blyde was described as a "Manufacturer of Fine Scissors, Pen, Pocket, and Table Knives; Razors, Horse Scrapes, Clipping Scissors, Singeing Lamps".